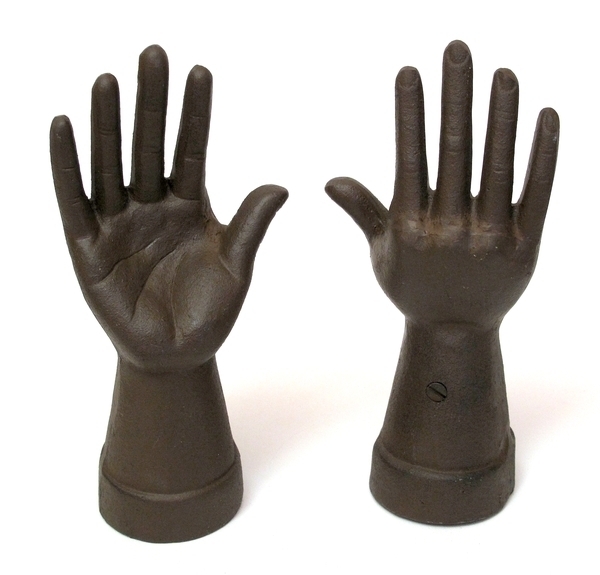 These rust colored cast iron hand ring holders measures 8 1/4" high. 2 of the same hands in this set. Great to place rings and jewelry on and they can be painted to match any decor.